SUPERFLEX is a state-of-the-art roofing membrane engineered to provide premium performance for today’s demanding RV roof designs. SUPERFLEX Roofing Membrane is an Olefin-based single-ply membrane that is approximately half the weight of EPDM. SUPERFLEX Roofing Membrane is very stretchable and conforms to the multiple contours of today’s RV’s in a clean, chalk-free non-fade membrane. The Luxe Elite luxury fifth wheel has a unique construction that fully insulates the chassis, walls, and roof. Our chassis is insulated with 2 barriers of insulation and has 3 ways of heating the underbelly. 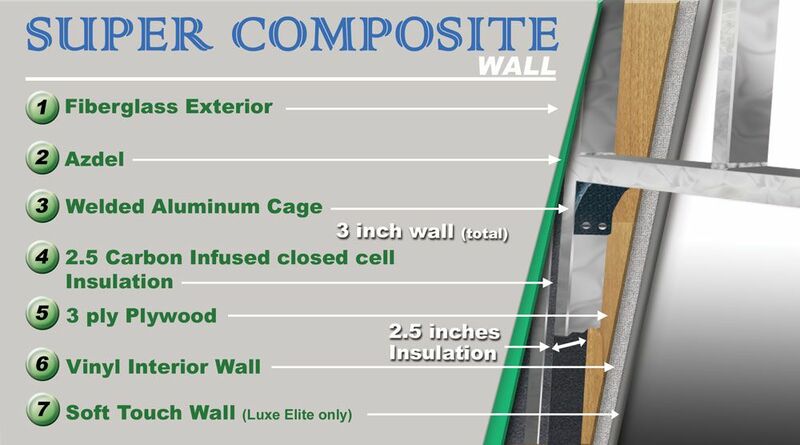 The walls are a Super Composite construction that is strong, lightweight, fire retardant and water resistant. The roof is also insulated and has HVAC ducted heating and cooling. 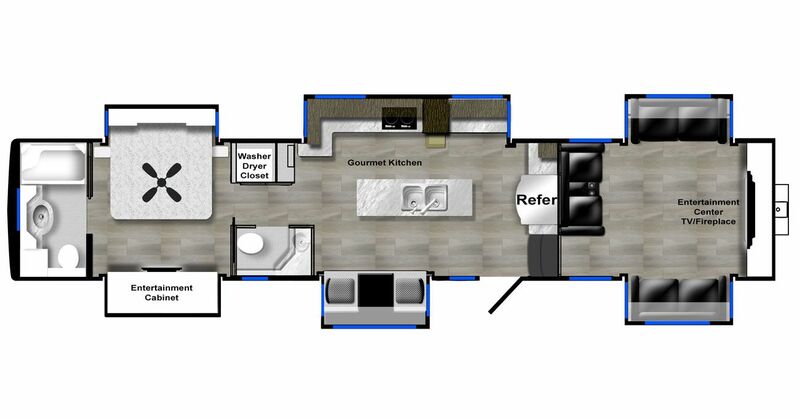 These units are Luxury full time fifth wheels. Each Luxe has a Wall Construction of a 3" thick Super Composite welded aluminum cage walls with 2.5 graphite infused closed cell insulation. This gives the unit a more residential construction approach as well as a sidewall that is stronger, lighter and will stand the test of time. Floor - 3" thick welded insulated aluminum cage construction with tung and grove 5/8" plywood. Hand layed vynal tiling.